Here at Shifa Dental, a trusted dentist office in Plano, we’re dedicated to providing the best dental care to our patients. Have you ever heard the saying, “give a man a fish and you feed him for a day; teach a man to fish and you feed him for a lifetime?” We believe that educating our patients on preventative dental practices is a crucial part to building a strong dental care and oral health foundation. Today, we’re going to explore preventative dental care, it’s benefits, and how to add it to your routine. Preventative dental care is basically the same as any other type of preventative practice, such as having your car’s oil changed regularly or having scheduled tire rotations. You’re taking minor steps on a regular basis to prevent larger problems from occurring later. 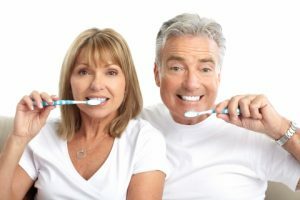 What Are The Benefits Of Preventative Dental Care? We like to think that toothpaste, toothbrushes, and floss are fairly cheap when compared to the cost of a serious dental procedure. Making a tiny investment in the health of your teeth and gums can prevent you from making a major investment in corrective dental procedures. You may think that all the steps involved with preventative dental care will only add time to your day, but when you think about the time spent brushing and flossing compared to a few hours sitting in a dentist chair, you gain a new perspective. Replace your toothbrush on a regular basis. Visit your Plano dentist office regularly. If you take these steps seriously, you have a good chance of avoiding many of the common problems that can hurt your teeth and gums. Is it time to schedule your preventative dental care appointment with us? Call us today.